Big Face, front of Macy’s, New York. Robert Frank in London (the City), in 1951, and looking in a trolley window, New Orleans, 1955. In 1950 the British firm Courtaulds Ltd. began to develop triacetate fibres, which were subsequently produced on a commercial scale after methylene chloride solvent became available. 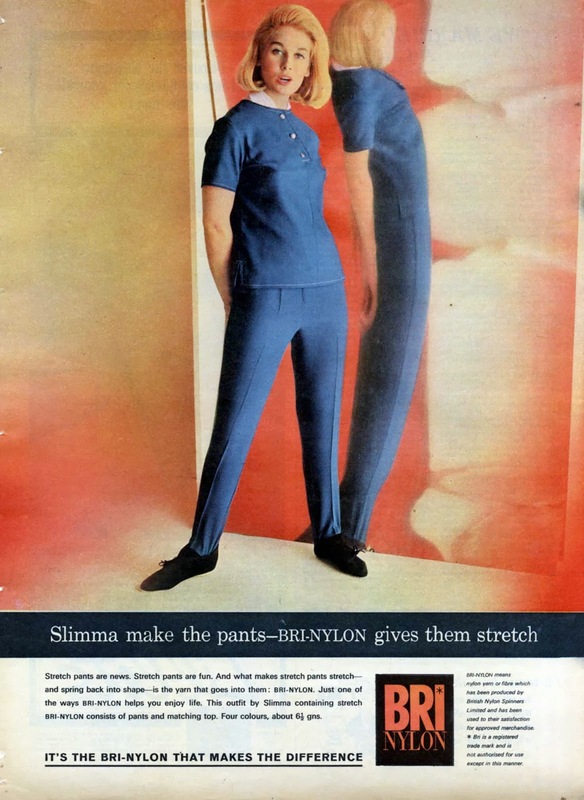 Courtaulds and British Celanese marketed a triacetate fibre under the trademark Tricel. In the United States triacetate was introduced under the trademarked name Arnel. Triacetate fabrics became known for their superior shape retention, resistance to shrinking, and ease of washing and drying. Production of acetate fibres has declined since the mid-20th century partly because of competition from polyester fibres, which have the same or better wash-and-wear properties, can be ironed at higher temperatures, and are less expensive. So there you have it. Synthetic textiles made of chemicals and perceived in their time as examples of ‘better living through chemistry‘. But just as hideous to touch and wear then, as now. This very cinematic daily snap from Grant Faint was taken at the Banke Bihari temple during the Holi festival.